Download the free sewing pattern here. Cut out a left and a right front piece and a back piece from both fabrics. 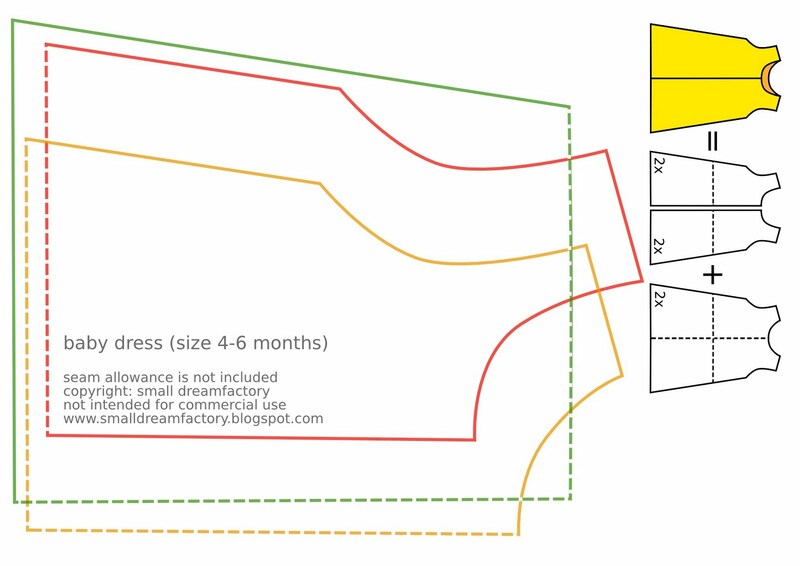 (Add 1,5 cm (5/8 inch) seam allowance for the zipper.) Place the back pieces right-side up on your work surface. Place the front pieces right-side down on top and pin down. Sew the right side seam, the left side seam and the shoulder seams. Put the inside of the dress (plain fabric) and the outside of the dress (vintage fabric) together with right side facing. Sew the neck seam and the bottom of the dress. Flip the dress right side out. Use the opening at the side of the dress to get the left armhole out. Sew the armhole together, right side facing. Sew the right armhole in the same way. Finally, sew the zipper in place, stitching 0,8 cm (0,3 inch) away from the teeth.